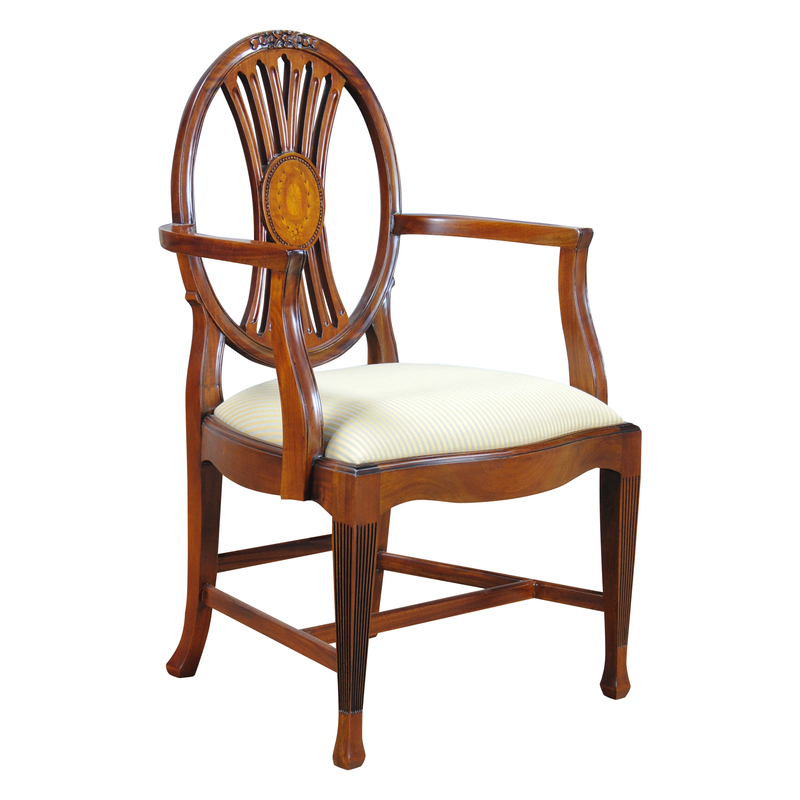 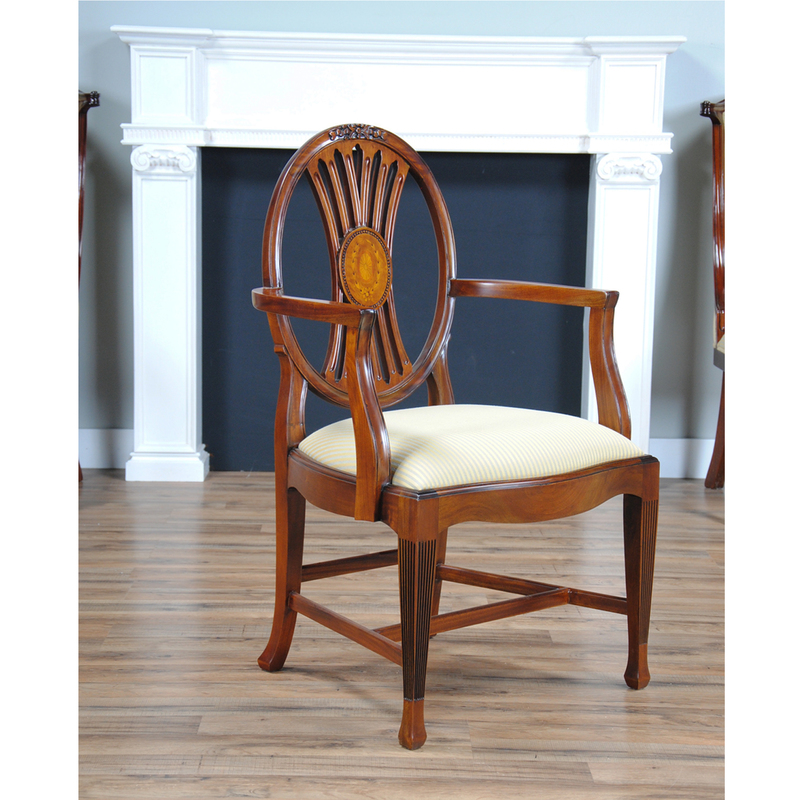 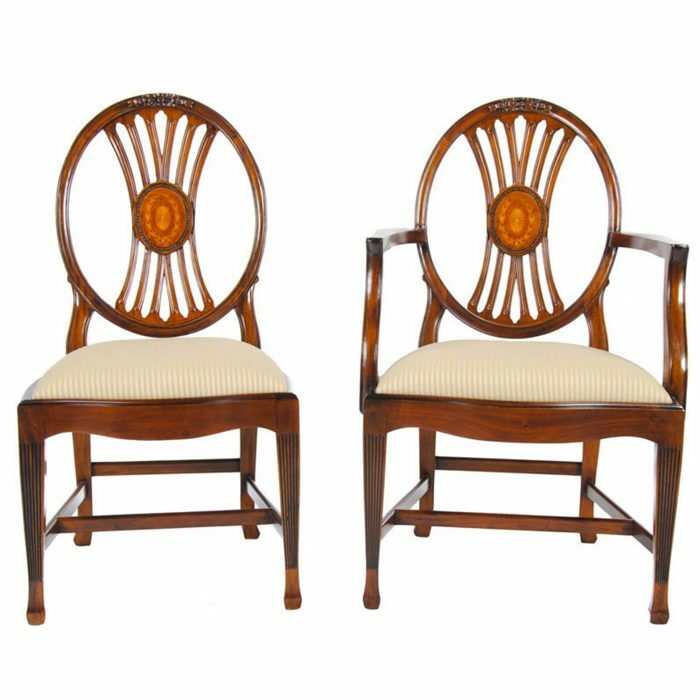 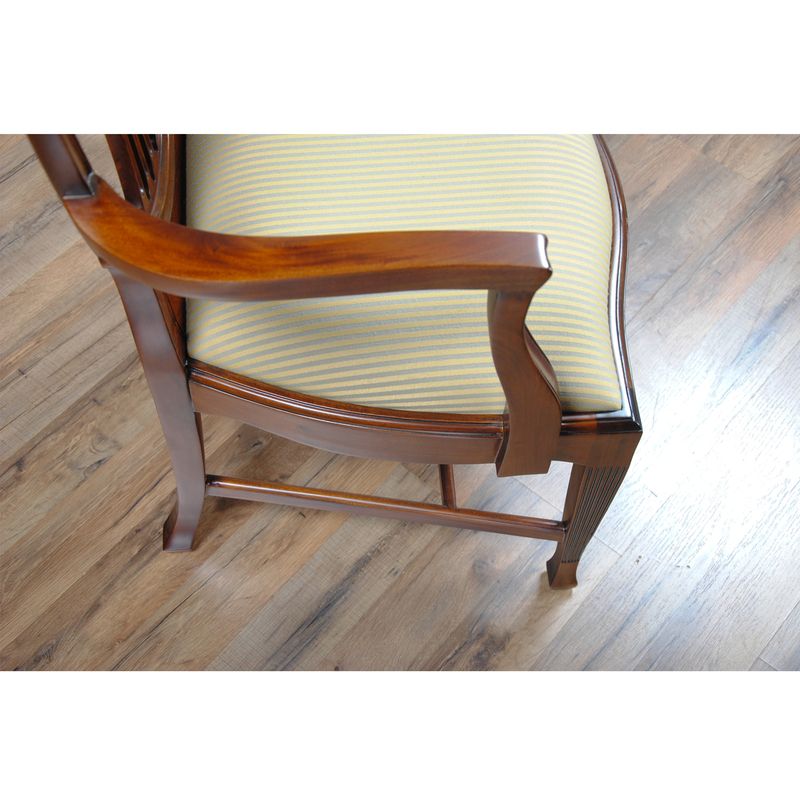 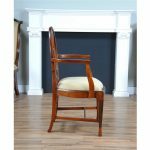 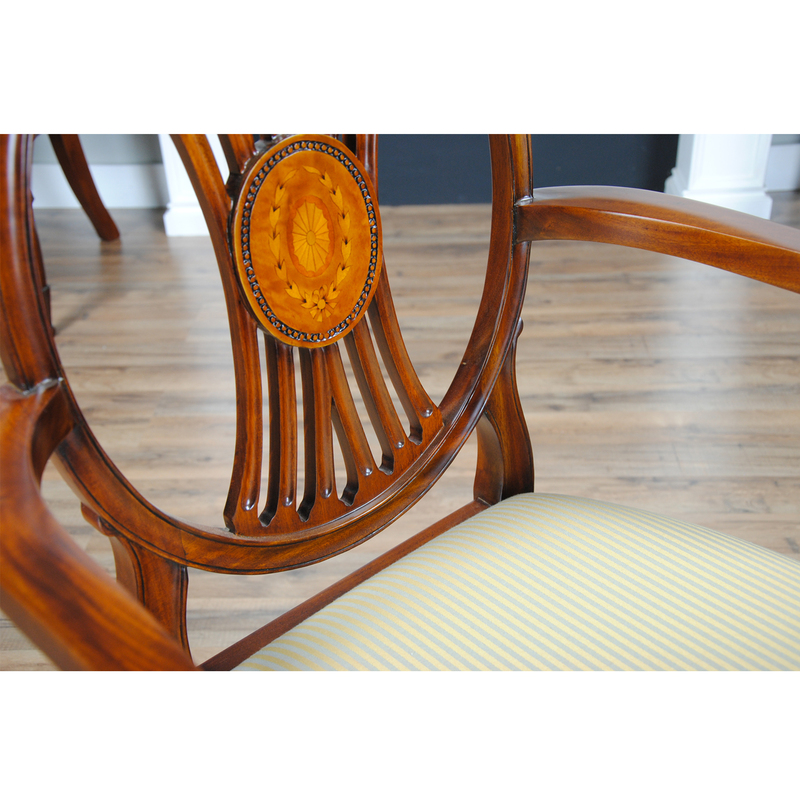 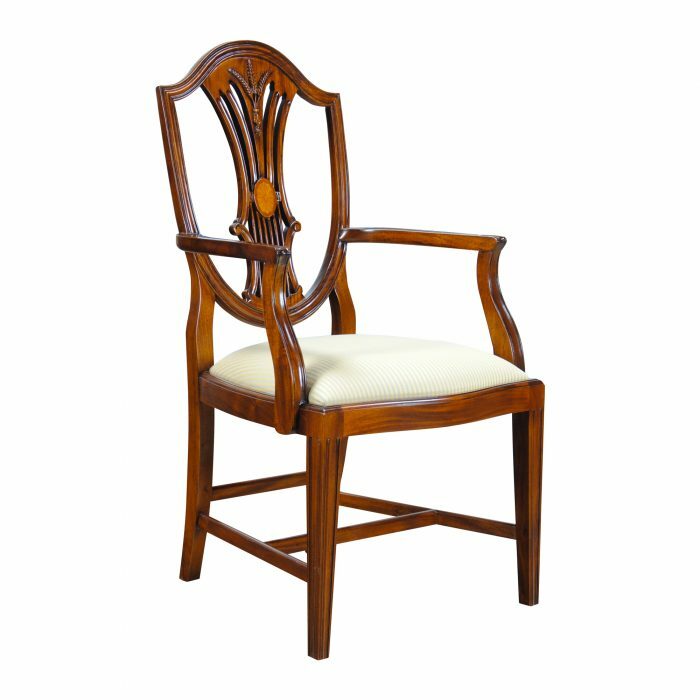 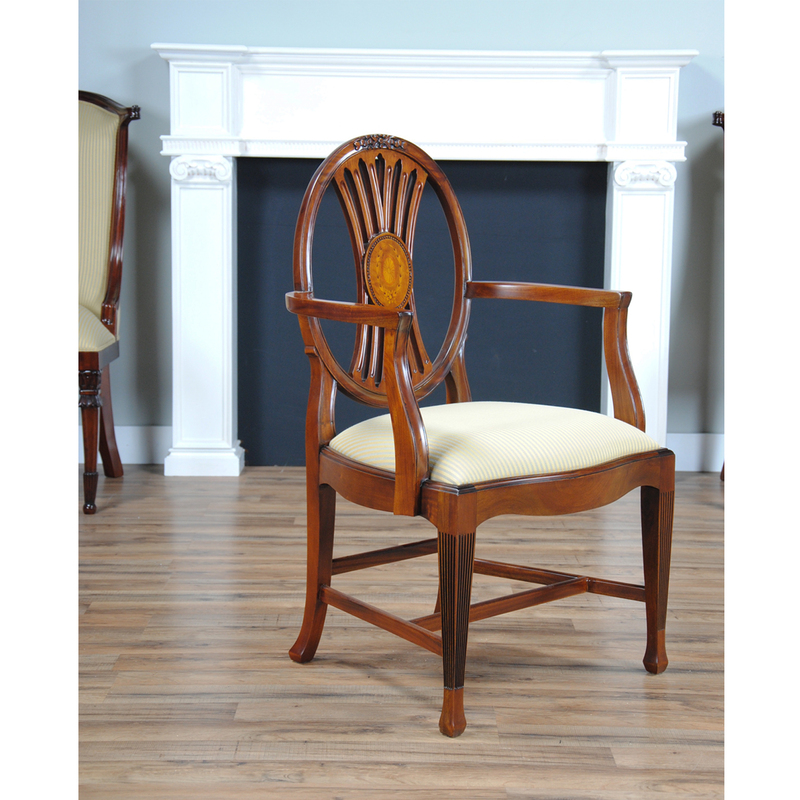 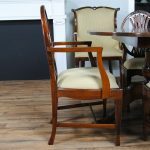 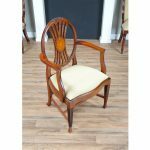 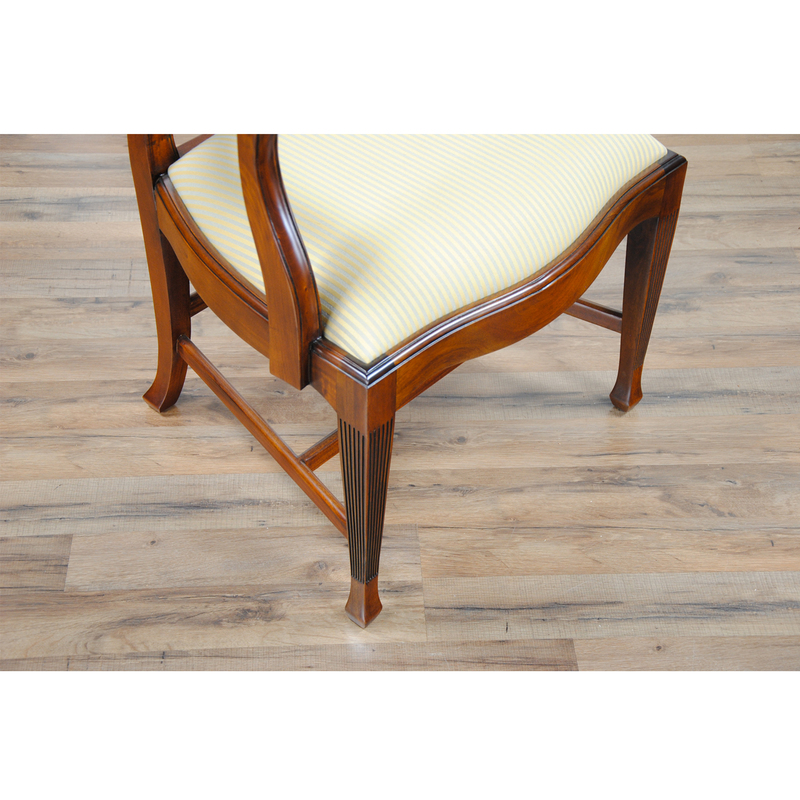 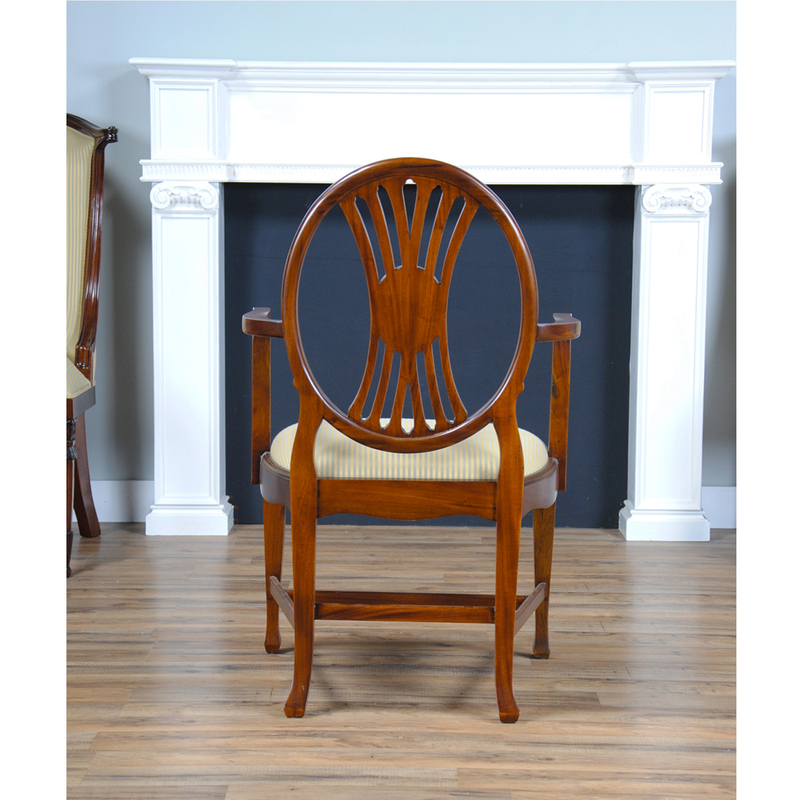 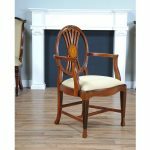 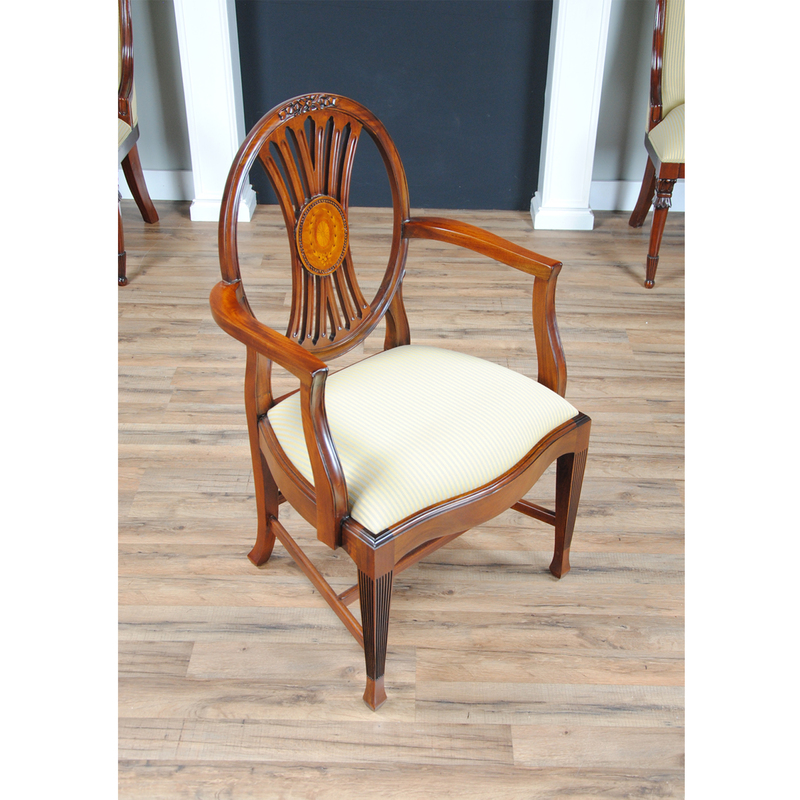 This Round Back Inlaid Arm Chair by Niagara Furniture great design features include high quality workmanship and materials, including beautifully shaped solid mahogany throughout and hand cut veneers in the inlaid center section of the back. 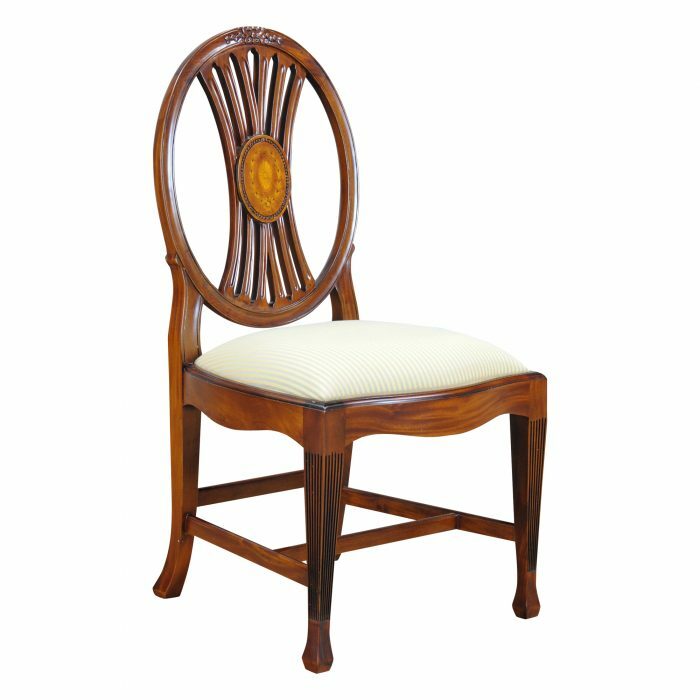 Meticulously crafted and painstakingly finished, these chairs have a super high end designer look. Made to last, our Round Back Inlaid Arm Chair also has cross stretchers supporting the chair legs as well as a drop in seat that makes fabric changes quick and easy. 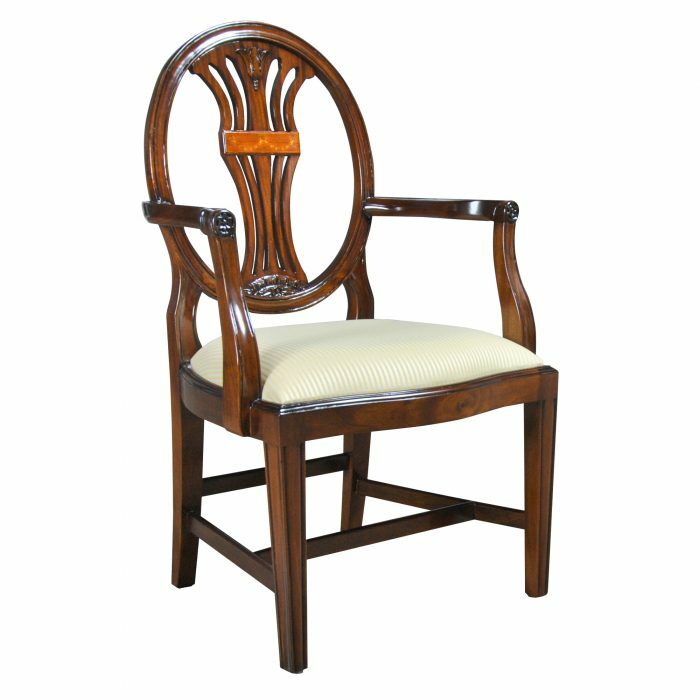 A luxury designer look all at a reasonable price.